Reacting to the news, FHL shares tumbled 6.75 per cent to close at Rs 141.65 apiece, after hitting a low of Rs 130.20 earlier in the day. 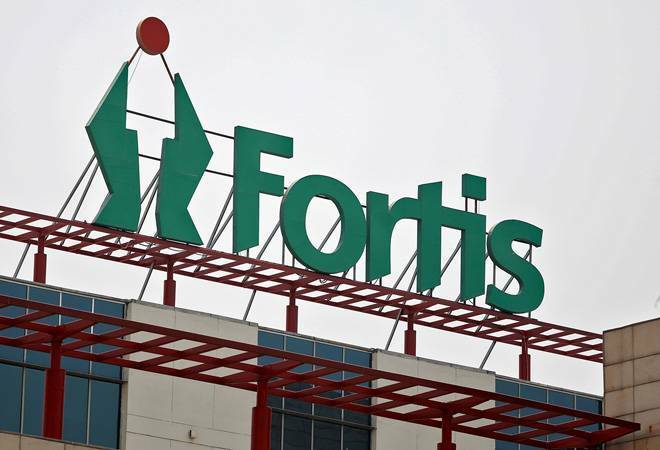 Three days after Fortis Healthcare (FHL) shareholders were informed that the open offer by IHH Healthcare Berhad to acquire an additional 26% stake in the company will kick off next week, the Supreme Court has put the entire deal on hold on a contempt plea moved by Daiichi Sankyo Co. Reacting to the news, FHL shares tumbled 6.75 per cent to close at Rs 141.65 apiece, after hitting a low of Rs 130.20 earlier in the day. Back in July, after a prolonged bidding war, FHL's board had unanimously picked IHH's binding investment proposal to acquire the company for Rs 4,000 crore. But soon after the deal, Daiichi had moved court to block it. In its plea, Daiichi had reportedly contended that the proposed transaction "will contravene orders issued by this honourable court, the honourable Supreme Court of India as well as significantly defeat the execution of the [arbitration] award in India". A Singapore tribunal had passed the Rs 3,500 crore arbitral award in Daiichi's favour back in April 2016 on grounds that that the Singh brothers had withheld information that their company was facing probe by the US Food and Drug Administration and the Department of Justice while selling its shares to the Japanese company. The Japanese drugmaker had further argued that the value of the unencumbered assets disclosed to court by FHL's promoter brothers, Malvinder and Shivinder Singh's two holding companies had to be maintained. According to The Business Standard, in its contempt plea, Daichii alleged that the Singh brothers and Indiabulls had created fresh encumbrances for nearly 1.7 million shares of the total 2.3 million shares that were left after the top court's order. The February 15 order allowed banks and financial institutions to sell FHL shares pledged with them on or before August 31 by the Singh brothers. The Supreme Court had, at the time, clarified that there could be no fresh encumbrances created by promoters and others, directing maintenance of a status quo. But Daichii claimed in its petition that Indiabulls created encumbrances for 1.2 million shares while the rest had either been created by Singh brothers or other third parties. During the court battle, FLH claimed that Daiichi's grounds were "unfounded" and Fortis was neither a party in the arbitration award nor in the disputes between Daiichi and the Singh siblings and others, The Economic Times reported. On the other hand, Daichii alleged that the Singhs and their holding company, RHC, were in violation of their undertakings to court. The latter had been given on the basis of their shareholding in FHL, which had been reducing over time. According to the daily, Daiichi's counsel argued that their shareholding had depleted due to a top-up agreement with lenders, which had earlier not been disclosed, amounting to "grossest contempt, in fact perjury".